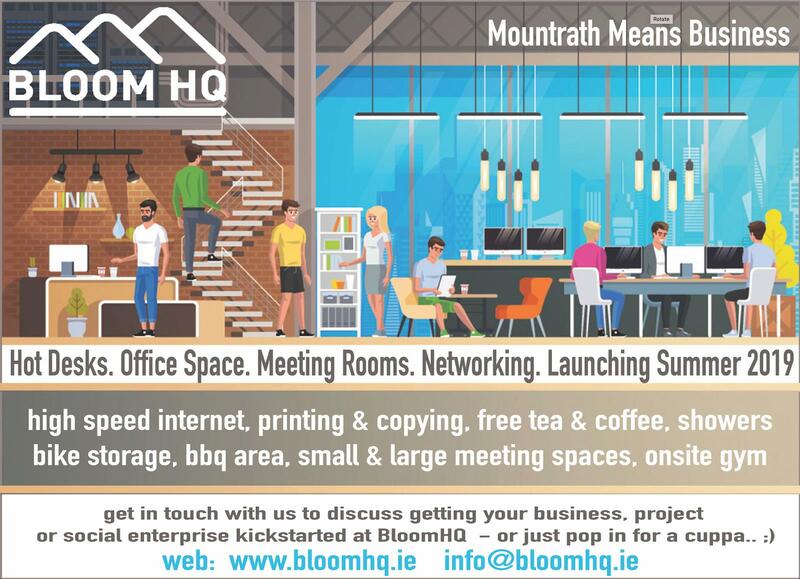 In anticipation for the opening of Bloom HQ (Mountrath’s new community and digital hub) in May; we sat down with Facilities Manager Andrea Deering to find out more about Bloom HQ, how it came about, the services it offers and its hopes for the future of Mountrath. Hi Andrea can you tell us a bit about yourself and how you came to manage Bloom HQ? I spent the first part of my career as an electronic engineer designing microchips while my second career brought me to become a behaviour psychologist, with a post grad in brain and behaviour. I have always been fascinated with people’s behaviour and why they do what they do. I have spent the last 8 years working on projects that benefit the community, incorporating my love of high tech and behaviour analysis. Bloom HQ was a challenge involving large scale design, innovation and people management with a responsibility of care for the gift given to the community and respect for the history of the buildings. When the opportunity came up to manage the design and renovation of Bloom HQ, I couldn’t imagine anyone else doing it. It was a natural progression from there to go on to manage Bloom HQ and guide it toward supporting innovation, enterprise and development in the area and beyond. What is Bloom HQ and how did it came about? Bloom HQ is comprised of a number of buildings that were part of the Brigidine Convent, built in 1809. It used to be a girls day and boarding school run by the Brigidine Sisters until it closed in 2009. In 2016, the sisters gifted the 20,000 meters squared site and its buildings to the community of Mountrath. With the history of the high quality and standard of education the Brigidine Sisters provided to their students, leading to careers in innovation, business, enterprise and development, it was fitting that part of the convent be used to create a space for business, development, training and innovation. 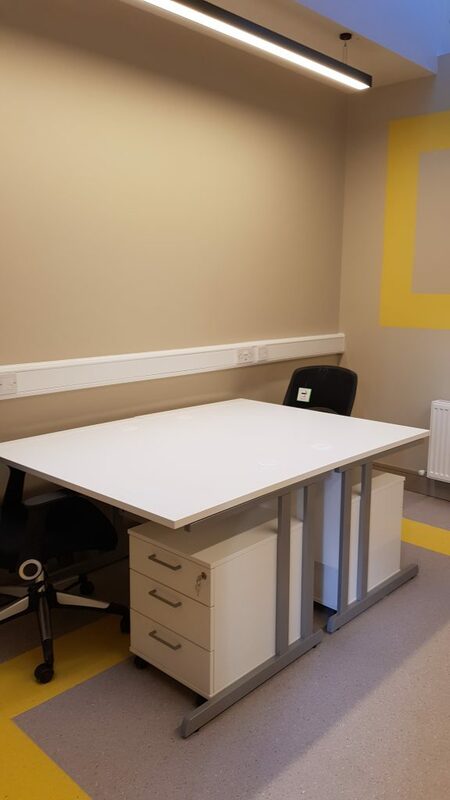 The Mountrath Community Forum and The Síol Foundation partnered up to manage the development of the convent into the amenity it has become, a high tech, high spec co-working space. The business model is part of a program of sustainability. Businesses and enterprises in Bloom HQ can avail of mandatory training on site, reducing staff costs and time out of the business, life-work balance can be achieved by availing of what is on offer from the on-site Community Hub and Health and Fitness Centre. Local businesses can provide a range of fresh food to order in the onsite canteen. What range of services does Bloom HQ offer clients? 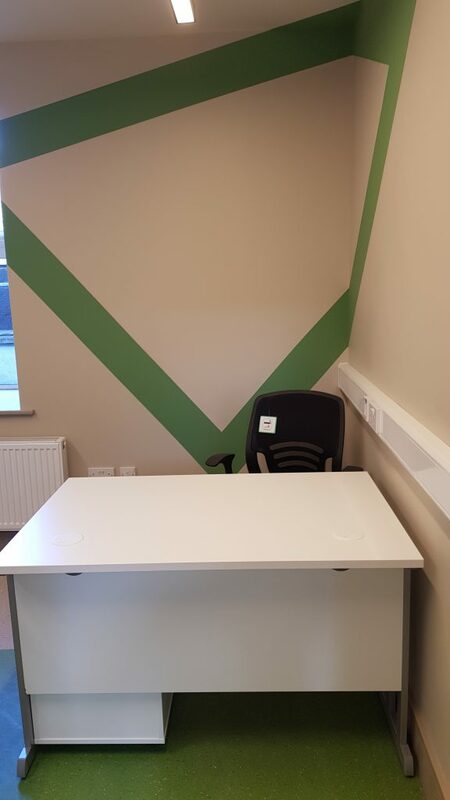 Bloom HQ is a secure CCTV monitored premises with free parking, 2 conference/training rooms to fit 14-18, 3 meeting/training rooms to fit 6, 8 and 14, casual meeting/training space to fit 20, 3 serviced offices to fit 3, 5 and 5, 3 casual work areas for 2, 1 private work pod, outdoor storage/worksheds, reception, waiting room, canteen, mini kitchen, disabled access toilets, showers. We also offer on-site training in First Aid, Emergency First Aid, First Response Training, Defibrillator Training, Mindfulness and managing your stress. 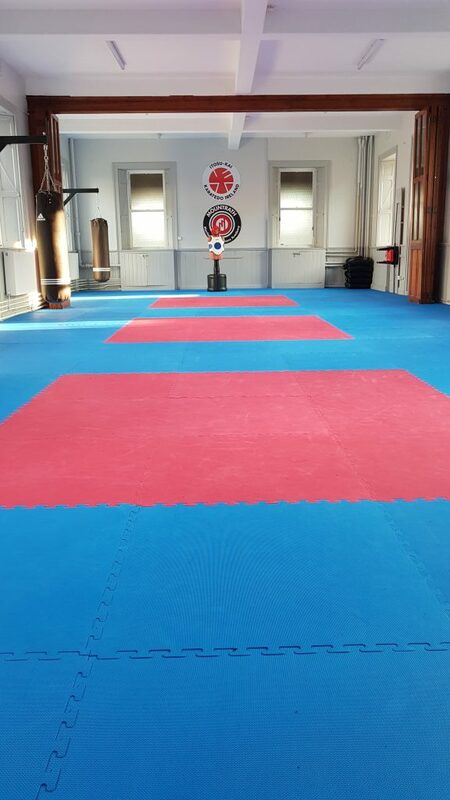 We also offer access to an on-site gym, martial arts and fitness training, yoga, mindfulness, trx & K08 conditioning – classes begin 6am to 9.30am and 4.30pm to 9.30pm with a plan to add more. 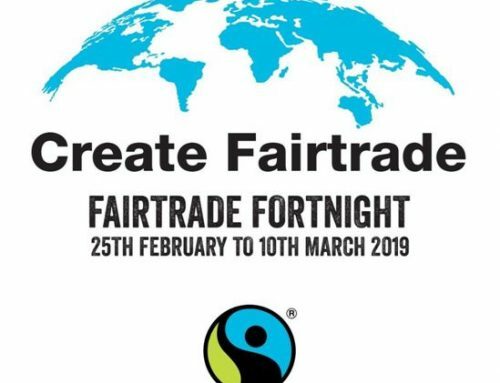 You can also join local clubs and societies based on the site including, Photography, Drama, Music School, Mens Shed, Biker Shed, Flower Club, Historical, Scouts, Foroige, Grinds School etc., and attend public information events and training (First Aid, Suicide Awareness, Self Harming awareness, Fire Prevention and Protection etc.). There will also be Plays and Musical Theatre onsite. How has the Business Support Unit (Business & Economic Development Department, Laois LEO) assisted in the development/funding of Bloom HQ? The Business Support Unit has been invaluable in terms of advice and contacts that could provide expertise in areas where we required additional support. We were also in receipt of a grant of €75,000 under the Town & Village Renewal Scheme for the renovation of the building to bring it to the high-tech, high-spec standard it currently is. What is the best thing about being involved with Bloom HQ? The best thing about Bloom HQ is the energy that surrounds it. There is excitement about Bloom HQ, it has a sound sustainability model and the people in the area are supporting it 100%. It looks and feels like no other work space, you want to be here and you want to be part of the energy and excitement that being in the environment generates. What are the major challenges for Bloom HQ as it looks towards the future? 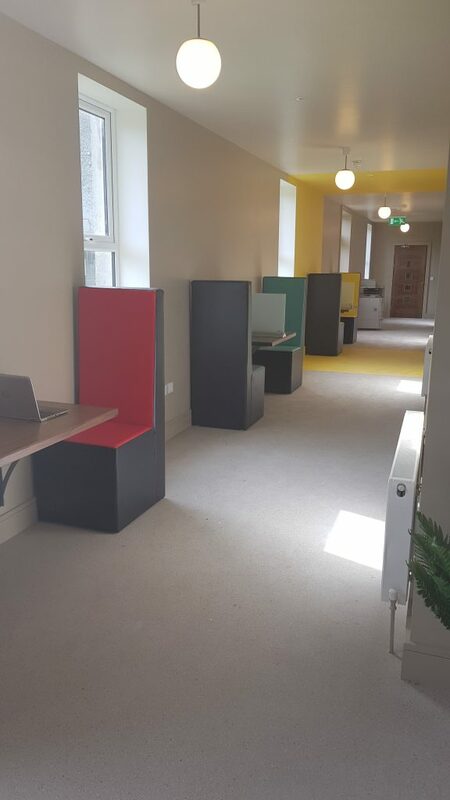 Bloom HQ will be competing with other co-working spaces, though with our on-site gym and the ability to train staff on-site while offering easy access to managing your work-life balance through all the various on-site clubs and societies, fitness and wellness, we have a lot of unique aspects to offer. We will continue to evolve and develop, with 20,000 meters square, there is room to grow with a changing market. What motivates the Bloom HQ staff? The desire to succeed and build a foundation that will provide a platform for future inspiration and innovation for the next generation. As locals, there is personal history and emotional investment in Bloom HQ. Mountrath was a motorway bypassed town and could easily have deteriorated but there is strong community spirit with a quiet resilience that won’t be kept down. We did and now we are building our own future. What impact would you like to see Bloom HQ make on the community in Mountrath? Bloom HQ will provide the space, environment and support for industry, innovation and development. We will be the spark to become a leading light for co-working in the Midlands where businesses can meet, collaborate, develop, innovate, educate and succeed in an environment that will meet all their needs in terms of work, life, social and development. The next generation will have the finest example of Do It Yourself on their doorstep and the inspiration of the reality of how a vision can be achieved. What do you think Bloom HQ means to the people in Mountrath? It means energy and excitement, success and opportunity. It provides an opportunity to contribute rather than move away and it reinvents something disused to become the lifeblood and centre of the community. It belongs to everyone in Mountrath and they are part of every step forward. Bloom HQ will open its doors in May 2019! Why not follow us on twitter @connect2laois to stay up to date with the latest news on Economic Development and Business Incentive Schemes in Laois. Want to learn more about the Business Incentive Schemes we have to offer click here for more information.